← Viva Scriva guest post: Are we there yet? How to know when your manuscript’s ready to submit, to whom, and why! 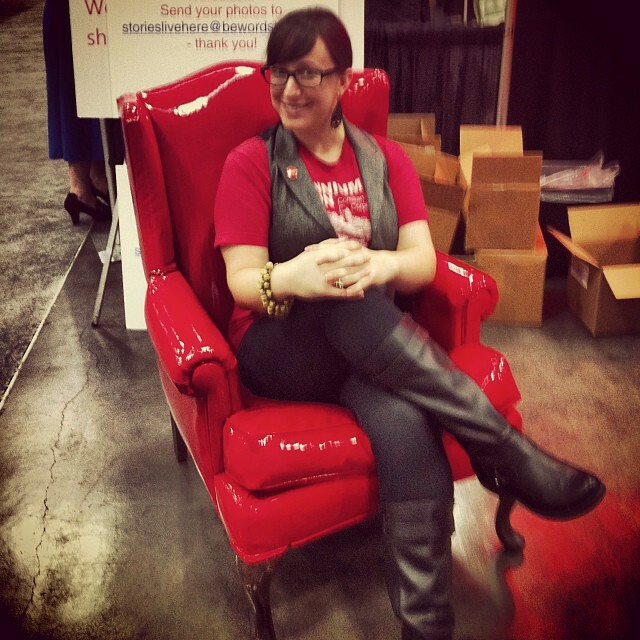 Better late than never: we went to Wordstock! We know, we know. A blog update? From Sarah and Sylvia? It’s true! We are indeed alive, and have so much to tell you. Namely that we’ve been too busy running around doing fun stuff like riding dragons and creating wormholes through spacetime and saving the world (that’s what editors are supposed to do, right?) 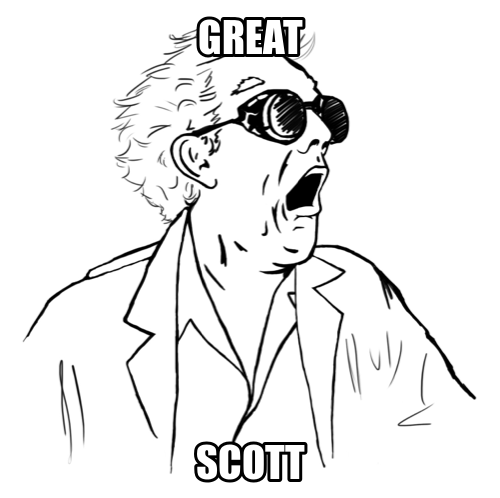 and also going to awesome events like Wordstock to update ye olde blog with any regularity. Never mind the dragons and wormholes for now — what’s Wordstock? Well, it’s a literary art and education non-profit that celebrates and supports writing in the classroom and in the community whose mission is to use the power of writing to effect positive change in people’s lives. Every year, Wordstock puts on a week-long book and literary festival that includes a bunch of fantastic events scattered all around Portland, Oregon, culminating in a two-day convention of small presses, publishers, artists, authors, booksellers, non-profits, and more where we all get to rub elbows with old friends, forge new connections, and basically have a grand old time. And that’s just what we did the weekend of October 5th and 6th! Well, what Sylvia did at least, since Sarah’s editing up a storm in Colorado these days. 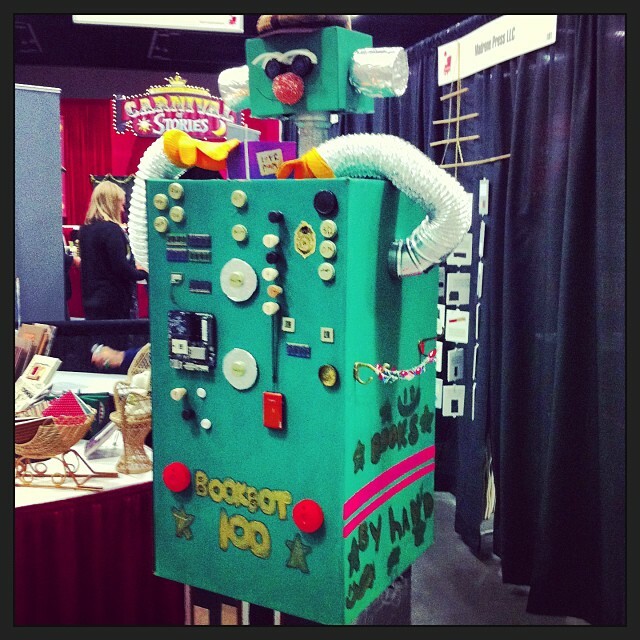 The fantastic homemade BookBot across from our booth! Had to sit in the chair at least once. Not quite the Iron Throne, but it’ll do. Sylvia got to meet awesome YA authors Malinda Lo (Ash) and Marissa Meyer (Cinder), hear Maggie Stiefvater (The Shiver Trilogy) expound on fainting goats (because, let’s face it, they’re adorable), what makes something truly scary, and why grownups like YA lit so darned much, and attend a thought-provoking workshop on why secondary characters are essential to good storytelling. She also got to meet with dozens of writers, designers, small press publishers, fellow editors, and more over the course of the two-day convention, which left her with a worn-out voice box and a pair of seriously sore feet, but nevertheless incredibly glad that she came. Since this was our first year tabling at Wordstock, we learned so much, and we’re already planning for and looking forward to 2015’s festival at Portland State University. In the mean time, if you stopped by our booth to chat with Sylvia during the festival and want to continue the conversation — or if you missed us at the festival and want to say hello now — our door’s always open. This entry was posted in Uncategorized and tagged books, editing, Ex Libris Editing, literature, Oregon, PDX, Portland, Wordstock, writing. Bookmark the permalink. 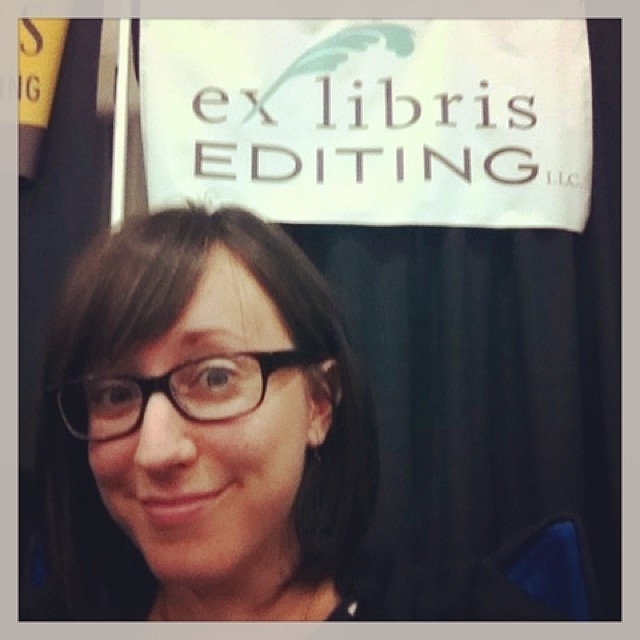 1 Response to Better late than never: we went to Wordstock!